Hello I can't tun off pc with goverlay enabled. When pc is off at 2-3 seconds its restart. I try changing the APN/ErP at S4+S5 and others modes. I think that the problem is for the goverlay, It takes too long to turn off, more than the pc. What do you mean goverlay support does not answer? did you send a contact thru our website? The only thing it can be is that your motherboard is detecting the device to be used to wake the computer. 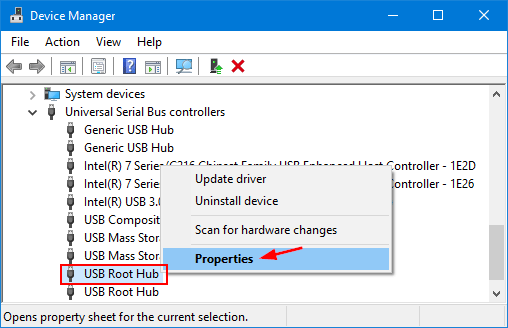 Try going to the device manager and on each of this "usb hub" go to properties, "power management" and DISABLE "allow this device to wake the computer" if its enabled, and mark "allow the computer to turn off this device to save power" as enabled just in case.